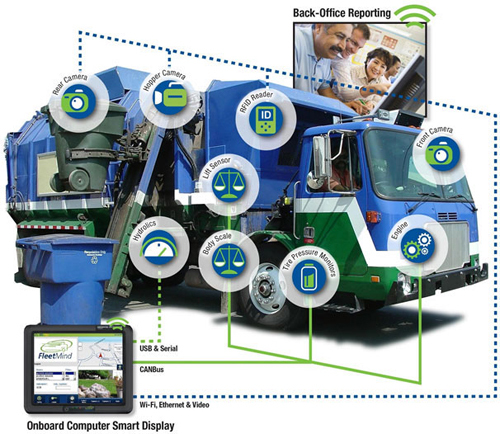 FleetMind provides industry-specific FleetLink mobile hardware solutions to automate the data recording of solid waste management operations, including vehicle information from GPS, data from the engine control module (ECM); and service information from drivers, cameras, scales, and RFID. With the exception of FleetMind Mobile DVR, all hardware is integrated with FleetLink back-office software. FleetLink Mobile products include touchscreen displays or hand-held devices, such as the Panasonic ToughPad, that are field-tested to withstand the toughest operating environments. A 3-year supplier warranty, with extended options, is standard for all FleetMind mobile products. Decrease administrative time wasted on data entry – go paperless! 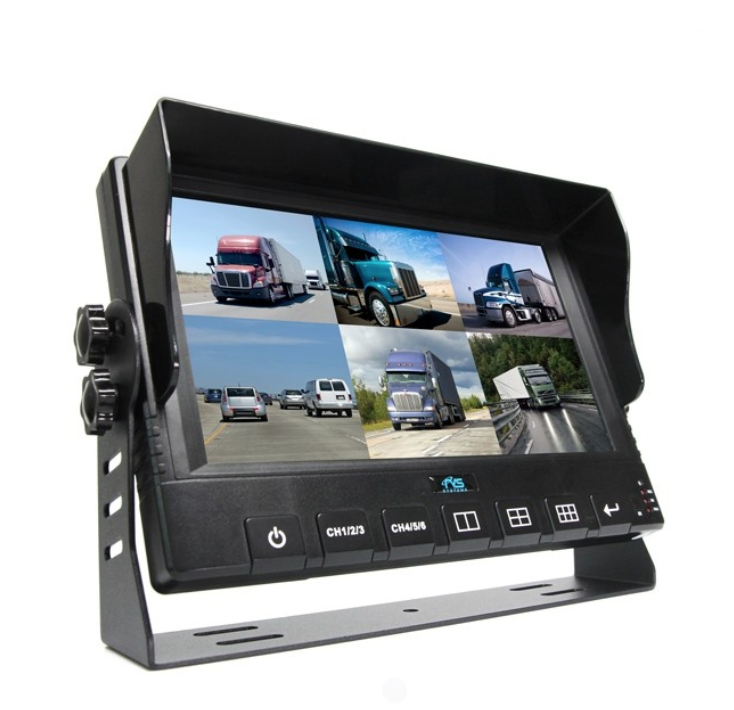 Used primarily in roll-off trucks to record standard fleet activities. Used primarily in residential and commercial trucks to record live digital videos and standard service verification activities. Targeted at non-solid waste vehicles such as supervisor trucks. FleetMind provides multiple cameras for unprecedented insights into and all around your vehicles. 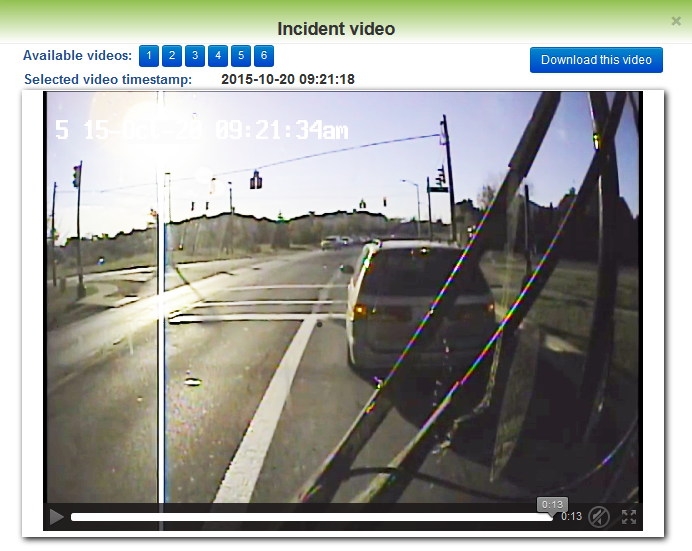 A full-featured digital video recording (DVR) and camera solution that enables solid waste vehicles to capture video inside and around the vehicle.